Social media is a powerful marketing tool for businesses. When it is going well, it can increase sales, drive traffic, increase brand awareness, build relationships and much more. But when it goes bad, it can do the complete opposite. Decrease your sales, harm your reputation, make customers angry, and much more. These are two sides of the social media marketing spectrum that are vital to know in order to reach the results you know it can generate for you. To get good results, it is true that having a strong social media strategy is essential, and the most important recipe to getting there. But what’s often neglected, forgotten, or ignored, but plays a vital role in social media is being aware of all the traps you can fall into. Some of the mistakes, you might be doing right now. Without knowing it. Whether you’re making small or big mistakes on social media, they are slowing you down to reaching your goals on social media, or even worse preventing you from getting there. In this article, we’re digging into 5 common social media mistakes that are keeping you from achieving the results you hope to achieve, and preventing you from reaching success. This is a big one, and unfortunately, I see this all of the time! It is called social media for a reason. You’re supposed to be social! If the conversation only goes one way, you’re not only missing out on opportunities to improve your relationship with your followers, but you’re also sending signals that you don’t care about them. As a brand, this is a dangerous place to be. Interacting with your followers doesn’t just mean thanking the people who give a compliment on your image, or responding to a question you asked in your post. No, there’s also one more extremely important part of social media interaction, and that’s customer service. Today, social media is a huge platform for customer service. For brands, being able to provide a good customer service is vital for customer retention and conversions. However, if you are someone who ignore the customer service messages on social media, you’re in for a treat. And not a tasty one. 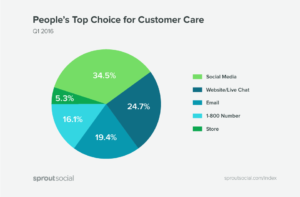 In fact, social media is people’s top choice for customer service, with a whopping 34,5 percent having social media as their preferred tool for customer care. The reason why social media has become such an important and popular platform for customer service in just a few years is because people are always connected and they outreach process is much quicker and easier than calling a customer service number for example. While they’re on social media, it’s easy to visit your page and shoot you a message while they’re at it. First and foremost, it means that you need to invest the right resources into managing the customer care related messages you are receiving on social media. You not only need to respond to the messages, you also need to respond to them in a timely manner. 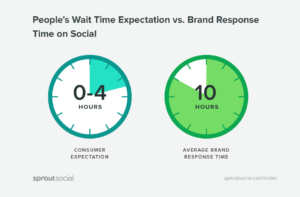 In fact, people expect brands to respond within 4 hours, but in reality, brands are responding after an average of 10 hours. Compare the expectation versus reality. You can hardly say that the average brands is exceeding their customers’ expectations, right? Great customer service on social media is not only about responding in time, though. It’s about solving your customer’s issue in their favour, and give them a great experience, showing that you care and that you are personally embarrassed for the fact that your product was inadequate to their expectations. Make sure you put great emphasis on customer service. Why? Because 91% of unhappy customers will not willingly do business with you again. On the bright side, though, if you resolve a complaint in the customer’s favor and they will do business with you again 70% of the time. Interacting with your audience is not only about responding to their messages. It is also about getting the conversation started. To get it started, writing questions in your captions is a great start. For platforms that allow, polls are also a great way to get your audience engaged. The point is that when you encourage your audience to comment and share their thoughts and opinions, you need to make sure you respond to them! Social media should be a conversation, and you should use it to have conversations with your audience to make them trust you more. But if your followers are the only ones who are talking, it won’t be much of a conversation, will it? The conversation should be a you and me conversation. Nobody wants to talk to a faceless brand, nor does people want to talk to an emotionless bot. As a brand, I am guessing you are using social media to market your brand and products? Why else would you use it. The common belief is that the more promotive content you share, the better marketing results you’ll generate. And yes, it is easy to believe that. But when you’re on social media, the reality is a bit different. Yes, if you are paying for social media ads, obviously you’re going to get better results by advertising more, but when we’re talking about organic marketing on social media, the fact of the matter is actually that you promote more by promoting less. Probably not, because that last sentence was almost too philosophical for me. Social media is content driven. 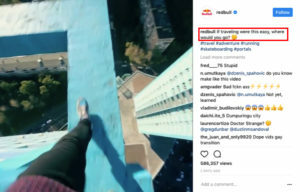 People are following you because they want to see your content. Appealing, high-quality content. They aren’t following you because they want ads and promotive content shoved down their throat. If they would, they’d watch the television. Bottom line is that you cannot post ad after ad and expect your followers to stick around. Does this mean that you cannot post any promotive content on social media? Of course not! After all, that’s the whole reason to why you are using social media, right? Because you want to market your brand. It just mean finding a balance between non-promotive content and promotive content. On social media, the 80/20 rule is often spoken about. This means sharing 20% promotive content and 80% non promotive content. The 80% should be content that isn’t downright promotive but still related to your industry and niche so that people who follow you will find it interesting and resonate with it. What’s most important is to provide value with your content. Are you proving value with your promotive content? Because this should go for both non-promotive and promotive content. What exactly does value mean, you may ask? I admit that it is a fairly loose term, but what it essentially mean is that your content should provide your followers value in one way or another. Value can be anything from actual value like a sale, it can be to provide your followers with a laugher, it can be knowledge, or information. The way you present this with your content will depend on your audience and what they resonate with. 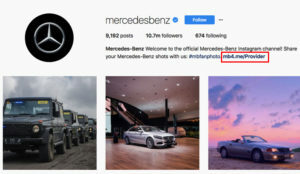 Of course, if you want to dig even deeper into the promotional VS non-promotional content balance on social media, you should know that it is possible to provide value with your content, while at the same time marketing your products. A great example of this is Skittles. 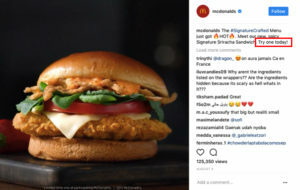 They are able to create fun and engaging content that their target audience likes, while also incorporating their product in it. Not using CTAs is an opportunity gone to waste. By just having a lot of followers on social media, you won’t achieve your business goals. Really, your followers aren’t worth anything if they aren’t doing anything for your business. Luckily, CTAs can help solve that. A common mistake is to put your website’s homepage link in your social media bio. 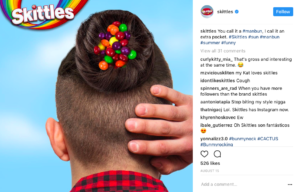 Of course, this is better than not having a link at all, and trust me, I have seen plenty of brands who haven’t incorporated links in their social media bios. And let me tell you: it’s not a beautiful sight. When I see it, I cringe, because it is one of the most valuable ways to generate results with social media and yet they’re missing out on it. While, at the same time, they’re spending tons of efforts on being active on social media. What this is, is a huge waste of efforts. Okay, so having a website link in your social media profile is good, but do you want to know what’s even better? Li nking directly to your newsletter offer, direct-to-purchase offer, or downloadable white paper. The sad truth is that most of the clicks that go to your website’s homepage are wasted clicks, because when people get there, they’ll feel lost, they won’t know if your website has what they are looking for, or even how to find it. To get the most juice out of your link clicks, instead, send them directly to the offers you want to guide them to. This will work as a sort of “landing page” (even if that isn’t the case) that gets them to the place you want them to be, and the place of your website that is most suitable for them. Do this and you’ll be able to dramatically increase your conversion rates. Sometimes, all it takes is a little guidance to the right place. Sharing links, whether it be in a post or in your profile is only half the battle. What you then need to do is encourage people to click it. By just adding a link and hoping that people will clicking it is not using your full potential. Social media have so much more power than that. By encouraging your followers to click your links, and give them a strong reason to why they should do so, you’ll be able so see a huge upswing in clicks from social media. There are different ways to include a call to action in your social media post. Which you choose to use depends on purpose intent, and what your followers respond best to. You can use calls to actions that peak interest. These are often very effective to getting clicks as they spark an interest among your followers to find out more. This plays on interest, and you’ll notice that you’ll be able to generate better click-through rates if you spark an interest around subject act your target audience cares about. For example, food connoisseur who are a bit overweight and enjoys being so might not find a CTA including information on how someone stays in shape very interesting. This is more of a card on the table kind of CTA. Here, you explain exactly why people should click the link and what people can expect if they do so. This is a common mistake I see brands make all of the time. And really, it’s not very surprising, because quite often, I see people who say that you should use every single social media platform that you can. Unless, of course, you have the resources for it. But even then, it’s not sure that you should, or that it will even be beneficial for your business. 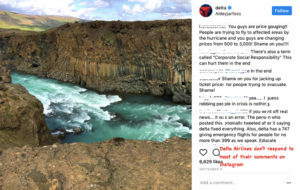 Don’t bite off more than you can chew, or, expressed in a more matter-related way: don’t use more social platforms than you can handle. The truth is that it is far more beneficial to dominate a few social platforms than to be mediocre on a lot of them. 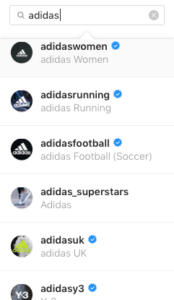 Unless you’re as huge as Adidas, you shouldn’t have a social media account dedicated for every single part about your business, across every single social media platform you can find. Instead, you should pick out the top platforms that are related to your core business and go all in on those. What should you think about when choosing social media platforms? There’s really one major question you need to ask yourself when deciding social platforms, and then 2 more additional questions you can use to get a more accurate answer. That question is: Where is my target audience to be found? In other words, where is my audience spending the most time? In case you didn’t know, the user demographics vary across platforms. Pinterest, for example, has a majority of female users Therefore, if females aren’t your target audience, then the platform might not be for you, as you’ll be better off using another platform that lets you reach your audience better. Before you decide on a platform, look at its user demographics and if it aligns with the people you are trying to reach. This question depends a lot on what message you want to convey, what resources you have, and how you want to present your brand. Dollar shave club, for example went all in on YouTube and creating videos that appealed to their target audience. That’s because longer videos let them convey their message better, in a way that other social platforms wouldn’t allow them to do. The result was a huge success for them. going viral, to boasting millions of views on their videos. Social media mistakes hide around every corner on social media. Some are common mistakes that don’t hurt you very much, but are slowing you down from reaching your goals. Other are tremendously harmful, completely putting your social media efforts out of balance. The most important part to avoiding mistakes on social media is being aware of them. Be aware and you’ll commit fewer mistakes during your social media work.